cat eyes & skinny jeans: Put A Ring On It! 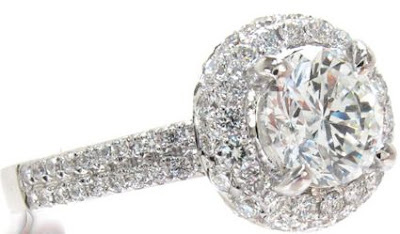 I've spent a lot of time fantasizing about an engagement ring, and I want something sentimental or quirky. With like an eyeball on it. But I'm not sure about a wedding ring. It seems like a big diamond would clash with an eyeball. My engagement ring story is so odd, but it did end with a gorgeous new one I saw myself. Even though I hardly wear it, it is magical. That's super pretty. But I have no idea at this point!